I'm happily married with five beautiful children. I have a technology degree (yeah, I'm a nerd)and I worked for about 8 years in the IT department of a bank. I started writing when I was fourteen, but the publishing world is still new to me. I'm very happy to have a chance to pursue my dreams! Suddenly Onika has someone who cares about who she is beyond her looks. Graham’s unselfish love gives her the kind of hope she’s never had. But when Onika’s wealthy ex wants her back, she plays one deception too many trying to have it all. Now present lies and past secrets are tearing her world apart. And Onika will need to educate herself once more—to learn what really matters, find faith, forgiveness—and build a life she truly deserves. 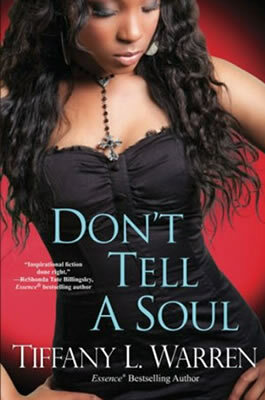 Dionne, Sydney and Camille are three sisters with more drama than they can handle. Dionne's music mogul husband, Rod Knight, is having an affair with a stripper/rap artist named Peach. Sydney's turning thirty, and Lucas, her old flame from medical school is trying his best to get back in her good graces. It's going to be a long road for Lucas, because Sydney can't get the image of him cheating with her sorority sister out of her mind. Oldest sister, Camille has named and claimed a financial blessing straight from the throne of grace. So what if the blessing came from the Bingo table and the slot machine? That doesn't mean it wasn't God, right? When the lies and alibis come to light and spiral out of control, it's going to take a lot of prayer to put everything back together again. 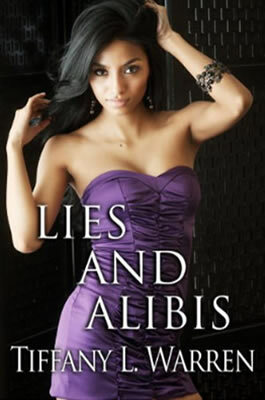 Lies and Alibis is a novella. 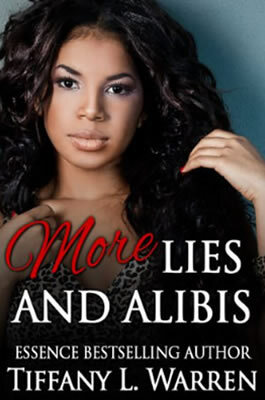 In this thrilling end to the Using Lies and Alibis trilogy, Dionne Knight's world is thrust into turmoil as her husband, Rod's, past deeds come back to haunt their family. 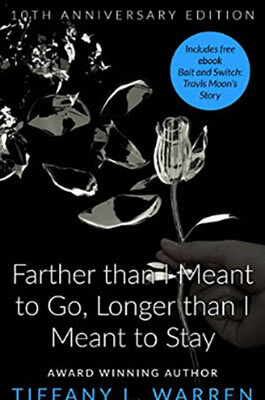 Camille handles a divorce, tackles her addiction and meets a new friend. 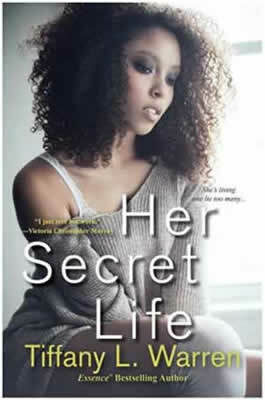 But will she really accept God's plan for her life, or continue to seek her own? Lastly, Sydney plans a wedding amidst the chaos and with the threat of Lucas's supermodel best friend, Quiana as one of the bridesmaids. Is there more to their friendship than meets the eye? 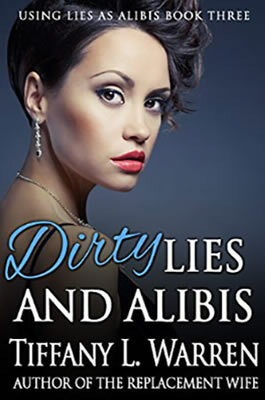 These sisters need prayer and their sisterly bond more than ever before, because someone's lies and alibis are about to put them in a situation that only God can fix. In this follow up to the drama-filled Lies and Alibis, sisters Dionne, Camille and Sydney encounter a whole new batch of faith challenging issues! Dionne's nemesis, brassy stripper Peach, leaves Birmingham and settles in Atlanta to be closer to Rod who is back home with Dionne and trying to start anew. Sydney and Lucas are now in a relationship that's going well - only to have a blast from the past show up to threaten their bright future. Camille is in counseling for her gambling addiction with Dr. Rayna King, and her husband Bryan is determined to transform their finances and take charge of their lives. Will Bryan's rules, regulations and emotional abuse take their marriage to a breaking point? The sisters lean on each other, and their faith in ways they've never had to before. Once all the lies have been uncovered and the alibis told, each sister must make a choice - that will change their lives forever. Five years after his beloved wife’s death, wealthy Quentin Chambers still hasn’t returned to the church or his music ministry. 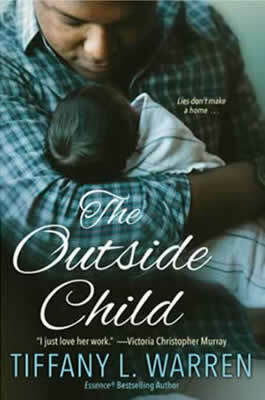 Even his home is now devoid of music, and without his attention, Quentin’s five children are out of control—until his mother steps in and hires a live-in nanny. Montana is pretty, compassionate, churchgoing, and even has a beautiful singing voice. The children take to her right away, and soon Quentin finds his heart opening to faith—and love—once more. But not everyone loves Montana . 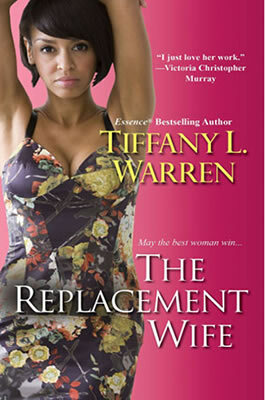 . .
A “friend” of Quentin’s first wife, Chloe has been scheming since the funeral to become the next Mrs. Chambers. Now she’ll do whatever it takes to get rid of Montana—including blackmail, theft, and digging up a troublemaking man from Montana’s past. But Chloe has secrets of her own, and the tables may turn with a twist she never saw coming . . .
Pam Lyon's husband has blown their fortune. Now he's hustling to make a comeback. But his business partner is more interested in connecting with Pam--and soon crosses a line that will challenge Pam's marriage. . ..Taylor Oldman's ex is out of prison and wants a relationship with their eleven-year-old son. Newly remarried Taylor doesn't want him in her life, but the boy is acting out--and his father is the only one who can reach him. . ..Recently divorced and lonely, Yvonne Hastings finds solace by befriending new church member Eva Logan. But Eva has a scandalous past, and when it starts to affect Yvonne, she'll have to reflect on what it means to be a good friend in and out of church. . .
As their personal lives test them like never before, can these three women find a way to keep the faith--and their friendship?. . .
Yolanda Rivers’ life in Shady Falls, North Carolina is anything but exciting. She’s worked at a pickle plant for twenty years and hasn’t had a man since her last beau decided that his favorite activities were going upside Yolanda’s head and sleeping with other women. If this isn’t bad enough, Yolanda’s grown children refuse to leave the nest, except for the baby girl, Dakota, who’s hoping to get a good government job at the post office in Raleigh. Yes, Yolanda’s life is the epitome of country and dull. Until her car breaks down on the very day that Danny Bailey moves to Shady Falls, and his chivalrous act saves her from being stranded. From their very first cup of coffee and slice of pie, Yolanda is hopeful that Danny will be the one to make her take her precious cookie back out of the jar. But even though Danny seems like the perfect guy, he has a dark side. A secret so heinous, that he’s run away from his big city life in Baltimore, Maryland. To Shady Falls – a place everyone else, with good sense, is trying to escape. In the thrilling conclusion of the Shady Falls series, Yolanda Rivers is at a breaking point. 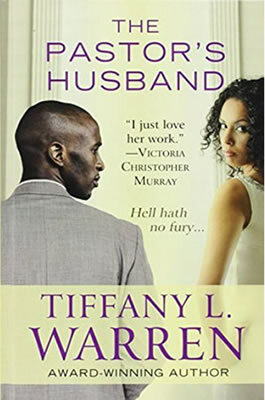 The man she loves, Danny, is on trial for murder, her son has disappeared and her baby girl, Dakota, has decided to up and move to Raleigh with her wretched best friends. If this isn't enough drama, Danny has asked his ex to represent him at the trial. Yolanda can tell from their first meeting that Cara wants to rekindle their flame in addition to seeing justice served. Even though a fizzled romance with Ethan has Dakota leery of moving to Raleigh, Cupcake's offer of dirt cheap, subsidized rent is enough to convince Dakota to be roomies. Sunshine doesn't have a job, but her new, rich boyfriend might be the meal ticket she needs. That is, until Dakota finds out his grimy secret. Should she be a friend and keep it real, or keep quiet? Dakota's closest friendships hang in the balance. Will Dakota learn the real meaning of friendship? Will Yolanda's prayers bring her man home by Christmas? Only God knows for sure, and He's all they've got, besides each other. 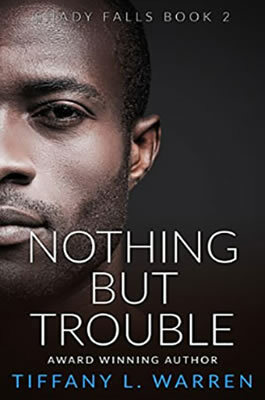 Nothing But Trouble is part two in the Shady Falls series. As President of Grace Savings and Loans, Charmayne Ellis is an established, polished professional. Although she has reached great success, her ridiculing mother and wise cracking younger sister won't let her forget that she is a 36-year-old, overweight, unmarried woman. This anniversary edition includes a short story from Travis Moon's perspective. Is he really the villain he seems?